It's nice to see new aluminum cases coming out for the iPhone 4 with a little different look other than the usual bumper style. 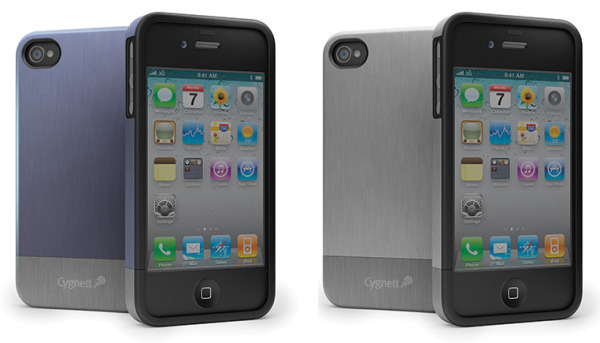 The Cygnett Aviator is a brushed aluminum slider case for the iPhone 4 with a removable bottom to let you easily dock your iPhone 4. From the looks of it, the inside of the Aviator case look like it's made out of a plastic material. Cygnett released very little information about their Aviator case and there isn't a price tag to be found.